Six have already filed for bankruptcy in 2018, pointing to more struggles ahead. With data from CreditRiskMonitor, we looked at companies that may be vulnerable. High consumer confidence, a healthy overall economy and a banner 2017 holiday season helped change the mood around retail going into the new year. But there are still dark spots in the industry. And where it's still dark, it still looks as dark as 2017 — a year that beat out the recession era for retail bankruptcies. Many of the same problems remain for department stores and specialty retailers: traffic has declined at B- and C-class malls, Amazon and e-commerce's share of the pie is quickly growing, off-pricers and discounters have squeezed middle-tier names, and consumers are spending more on experiences over stuff. And not least of all, there is still billions of dollars in debt out there coming due in the near future, much of it left over from a rash of leveraged buyouts of retailers by private equity firms in the past decade. The debt puts balance sheets under stress and the interest payments leave less money to invest in the business — a sure recipe for a death spiral. Already this year there have been six major retail bankruptcies, including that of Bon-Ton Stores, the first major department store in years to liquidate. Most executives expect retail bankruptcies in 2018 to increase or keep pace with last year, according to a study from consulting firm BDO. S&P analysts have also noted that retail defaults could increase this year, as could liquidations. Moody's analysts said last week that retail defaults in the first quarter of this year hit an all-time high, though the ratings agency expects that defaults likely peaked in March. With all that in mind, we're looking closely at who is still vulnerable. In putting together a list of retailers that could go bankrupt, we relied on data provided to Retail Dive by CreditRiskMonitor, a service dedicated specifically to predicting the risk of companies with publicly traded stock or bonds going bankrupt. CreditRiskMonitor estimates the risk of a company going bankrupt within 12 months based on several streams of data, including financial ratios, bond ratings, a commonly used credit analysis model (the "Merton" model) and aggregated data patterns from its own subscribers, which include credit professionals and major corporations. The following was culled from lists of retailers with FRISK scores of one or two in the first quarter 2018 provided by CreditRiskMonitor executives. Net losses for 2017 (which included a benefit for income taxes of $105.5 million) widened to $125 million from $23.5 million last year. In the fourth quarter, sales at the retailer's flagship brand fell 4%, but the Madewell unit lifted the entire company, with sales growth of 32%. Neiman Marcus top-line sales in fiscal 2017 (which ended in July) fell around 5%, to $4.7 billion, compared to 2016. That's a tough hand for a retailer weighed down by a $4.8 billion debt pile, but the retailer has performed better in recent quarters. In the period that included the holiday season, Neiman increased its top-line sales, comps and posted a needed positive profit. To boost profit and sales, the company has cut jobs and developed a "Digital First" strategy to engage customers more deeply. So far, it appears to be paying off. Last June, acquisition talks broke down with Hudson's Bay, reportedly on concerns about the retailer's debt. Neiman Marcus, held by a group of private equity firms, had also earlier floated plans for an IPO that never materialized. There's been executive turnover as well. In January, CEO Karen Katz, who had served in the chief executive spot since 2010, stepped down and was succeeded by Ralph Lauren executive Geoffroy van Raemdonck. Last year, the retailer also lost then-CFO Donald Grimes after little more than a year on the job. He has since been replaced by Adam Orvos, who took over from interim CFO Dale Stapleton. The company has seen additional turnover in its CMO and CIO spots. A spokesperson for Neiman noted in an email to Retail Dive that the retailer had total liquidity of about $842 million at the end of Q2 (which ended late January), giving the company "the flexibility to strategically invest in our businesses." Neiman’s next major debt maturity isn't due until 2020, and it's long-term debt does not fully mature until 2021, the spokesperson said, adding, "We will continue to proactively manage our liquidity and capital structure." Sears Holdings' sales have been declining for nearly a decade. Years of cost cuts, store closures, asset sales and layoffs have, in most prior quarters, done little beyond slowing the loss of money. As media and analyst coverage have become increasingly gloomy, the retailer has lashed out at the media and publicly feuded with suppliers. It broke off ties with a major appliance maker in Whirlpool. To date, Sears has avoided bankruptcy in part with the help of its CEO Eddie Lampert's hedge fund, which has loaned hundreds of millions of dollars (with interest) to the department store retailer. It also sold off owned property, piecemeal at times, and it could sell its Kenmore brand and home services units to Lampert's fund, after he propositioned the company he runs about a prospective deal. In the fourth quarter, Seats posted a badly needed profit — though it's comparable sales dropped an alarming 15%. It has also bought turnaround time and freed up cash through a distressed debt exchange. 99 Cents Only Stores operate in a low-margin space that's only gotten more competitive as Dollar General, Dollar Tree, Walmart and others battle for market share. The 35-year-old chain was bought out in 2012 by private equity firm Ares Management as well as the Canadian pension fund and a private family. In February, the retailer named a new CEO and projected strong sales improvements. The company has indeed posted positive same-store sales growth for several quarters going. Yet 99 Cents Only is still losing money. In December, it reported a third quarter net loss of $27.1. That came on top of a $33.6 million in the second quarter and an $8.8 million loss in the first quarter. In December, the retailer announced it had completed a distressed debt exchange that S&P analysts said improved the company's liquidity "somewhat." GNC is a leader in a growing and competitive supplement space, an area that has come under scrutiny from public health officials and state attorneys general. Financial and operational issues have plagued it recent years. GNC's top-line revenue in 2017 fell 3.4% year over year to about $2.5 billion. Same-store sales at the supplement retailer's domestic company-owned stores fell slightly and declined 2.4% at franchise locations. In late 2016, GNC briefly shuttered all its stores in an ambitious rebranding that came after then-CEO Robert Moran found "a badly broken business model in need of change" in the retailer he'd taken over. The arrival of Moran, followed the abrupt resignation of previous CEO Michael Archbold last summer. And Moran himself was replaced in September by former Rite Aid CEO Ken Martindale. This spring the retailer said it was focused on executing its "Plan B," and in April Fred's postponed an upcoming earnings release as it pondered the sale of its specialty pharmacy business, according to the Memphis Business Journal. In January, the company's CFO resigned, and the next month the retailer appointed a former media executive in the chief finance spot. Fred's reported in December that its top-line sales dropped 4.5% year over year in the third quarter, to $493.6 million, and comparable store sales fell 0.8%. The retailer's net loss for the quarter widened to $51.8 million. Its loss by the end of October was $117.8 million, a more than 167% expansion over the prior-year period's loss. Destination Maternity bills itself as the largest designer and retailer of maternity apparel, with more than 1,000 locations. Its CEO left last year, during a quarter when top-line sales fell by more than 7% and shortly after it brought on Berkeley Research Group to help in its turnaround efforts. Since then, the company is already on its second interim CEO. In fiscal 2017, Destination Maternity's sales fell 6.3% year over year to $406.2 million, which the company attributed to the wind down of a relationship with Kohl's, the net closure of 28 retail stores and a comparable sales decline of 1.5%. It posted a net loss of $21.6 million, a significant narrowing compared to the prior year's loss of $32.8 million. Comps in the fourth quarter rose 5.2%, and e-commerce comps were up 40% as the company relaunched its websites. Ascena operated at a $1.3 billion loss in its fiscal 2017 (which ended in July), and the retailer posted a net loss of $1 billion, after posting an $11.9 million loss in 2016 and a $236.8 million loss the year before that. The retailer went into the holiday season in need of "some holiday cheer," in the view of Moody's analysts, but instead it reported in March that top-line sales fell year over year again in the quarter, and comparable sales fell 2% across its units, with comps falling 8% at Ann Taylor and 1% at Loft. In January, Ascena brought in a new chief for Dress Barn after poor performances in the unit. Ascena as a whole plans to close 250 locations, or 25% of its stores, by the end of 2019. Stein Mart is fighting on multiple fronts — improving merchandise, clearing out inventory, cutting costs and testing services like ship from store. There's some evidence that it's making progress. In Q3 2017, the retailer's store sales stabilized and digital sales grew by 47% in October, executives said in November. The retailer also announced a new loyalty scheme early last year. In the fourth quarter, the company shrunk its loss to a size about 10% of the prior year's Q4, though it posted a $23.4 million net loss for the year, compared to net income of $401,000 in 2016. Comparable sales fell 6.2% in 2017. Founded in 1902 as a single store in Mississippi, Stein Mart, with around 300 stores, faces an uphill battle. In January, the company said it had hired advisors and was looking at "strategic alternatives" to improve performance. Helping its liquidity, the retailer closed on a $50 million term loan in March, which could be increased. While the retailer has by and large performed better than Sears and Neiman Marcus, it carries a total debt load of about $4.2 billion, which aside from being a financial risk, limits J.C. Penney's ability to adapt to changes in the sector. Office Depot CEO Gerry Smith told analysts in February that 2018 would be a year of transition. That means, in part, shifting the company's emphasis from retail sales to business services after federal antitrust enforces blocked a merger with rival Staples. Smith called the turnaround efforts a "multi-year journey" that is already beginning to show some "favorable trends." But Office Depot's sales fell 7%, to $10.2 billion, in 2017. With an 11% year-over-year decline, company's retail sales fell by even more. As it invests in B2B operations, the company last fall acquired IT services firm CompuCom. Office Depot carries about $1.3 billion in long-term debt and nearly $4 billion in total obligations. Vitamin Shoppe has been elevating its e-commerce penetration and has introduced a new subscription service. 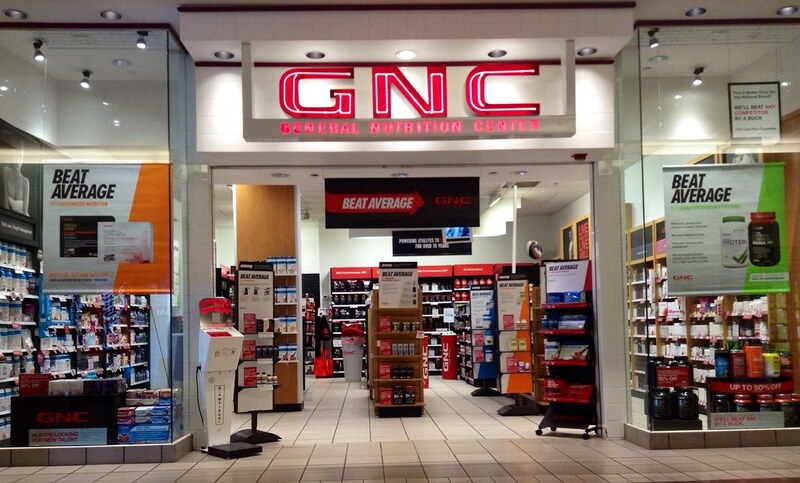 But it, like GNC, has suffered from mall traffic declines and competition in the supplement industry. Top-line sales fell 8.5% last year to about $1.2 billion, comps fell 7%, and the company posted a net loss of more than $252 million. In the fourth quarter, comps fell 4.6%, and the retailer widened its net loss to $17.6 million. Vitamin Shoppe hopes it can turn around its business with a multi-pronged plan that includes category expansion, in-store "health enthusiasts" and "grass roots" events, delivery services and improvements to its loyalty program and omnichannel capabilities. For 2018, the retailer still expects negative comps in the low or middle single digits.